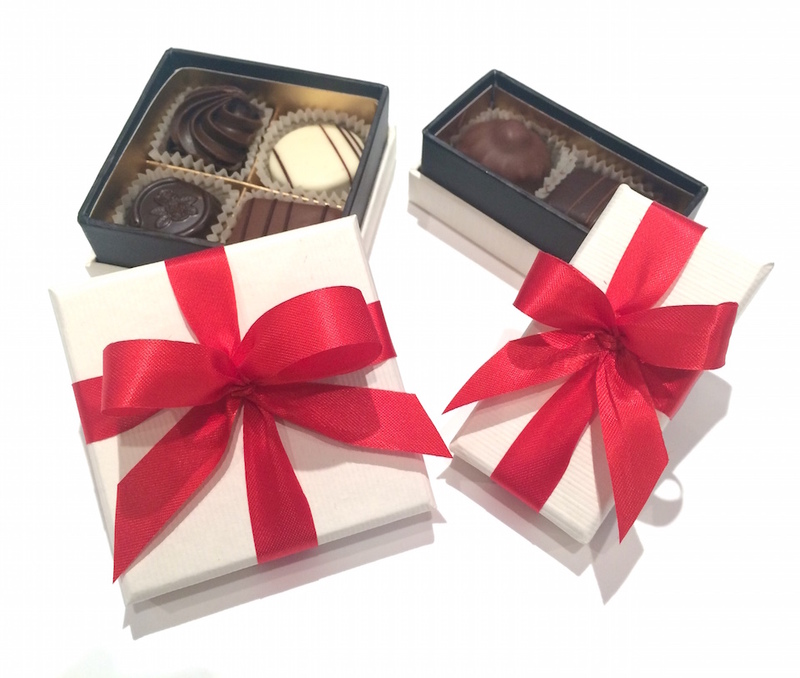 Based in Toronto, DeMeersman Chocolate is proud to be able to accommodate large orders for both personal and corporate clients. If you are looking for bombomaries, party favours, corporate gifts we are more than happy to provide you with an unique and custom experience that will have you coming back. 2, 4 or 6 piece boxes for any occasion! Regularly priced at $6.00, $8.00 and $11.95, these are available at $5.50, $7.50 and $10.95 for our corporate clients or as part of a large order (30 boxes or more). Contact us online for customization options to your taste, and special pricing! We provide volume discounts which range based on the customization of your order. Fill in the form below with your general requirements and we will be in touch to review your options and pricing!